Than Jesus' blood and righteousness. I dare not trust the sweetest frame, But wholly lean on Jesus' Name. 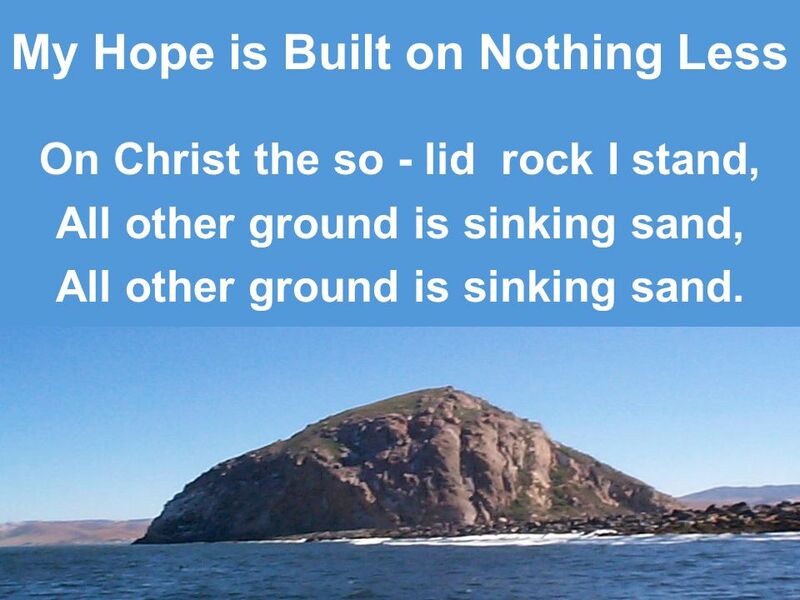 On Christ the so - lid rock I stand, All other ground is sinking sand, All other ground is sinking sand. When darkness seems to hide His face, I rest on His unchanging grace. 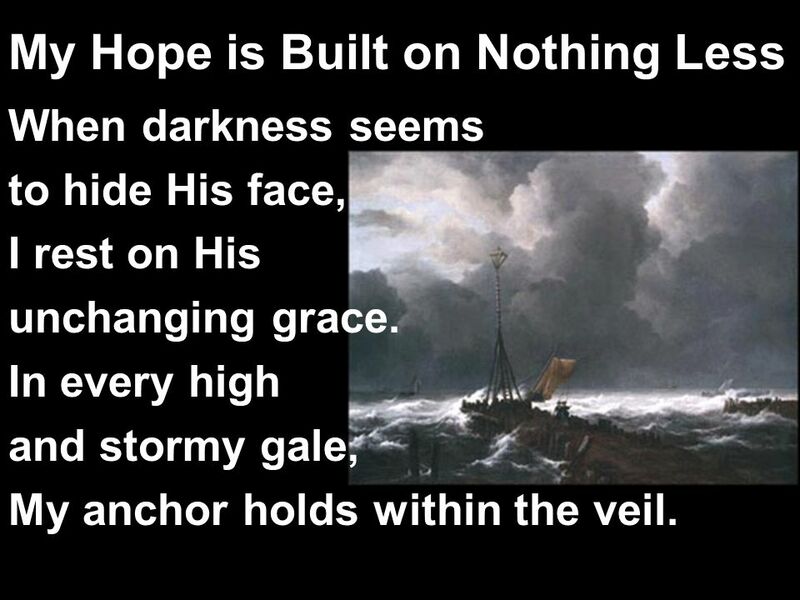 In every high and stormy gale, My anchor holds within the veil. Download ppt "My Hope is Built on Nothing Less"
The Way Walking in the Footsteps of Jesus Part 3: The Empty Heart Matthew 7:24-29. “What Is Your Foundation?” Matt. 7: “Therefore everyone who hears these words of mine and puts them into practice is like a wise man who built his. This Is The Day This is the day, this is the day That the Lord has made I will rejoice, I will rejoice And be glad in it. My commitment to Jesus Christ does not save me. CHRIST SAVES ME BY HIS GRACE. My surrender to His Lordship does not save me. CHRIST SAVES ME BY HIS. God’s Call of a New People: Jews and Gentiles Romans II Series  Romans 9:24-33. I Will Not Be Shaken Tony Guerrero. Oh God, You are my God And I will ever praise You Oh God, You are my God And I will ever praise You I will seek You in the morning And I will learn to. Cornerstone Hillsong Live. 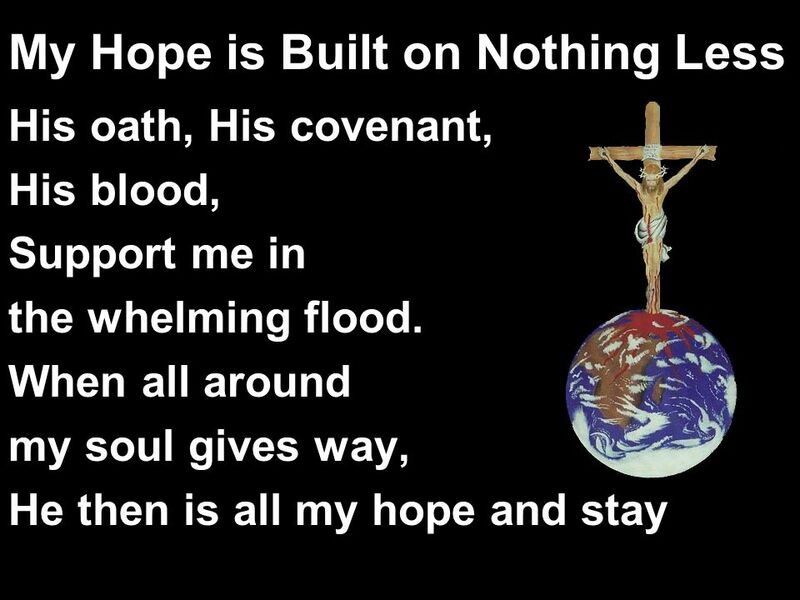 My hope is built On nothing less Than Jesus’ blood And righteousness. I have seen seen the downfall of satan, glory be to God, Amen. My Hope Is Built 1. 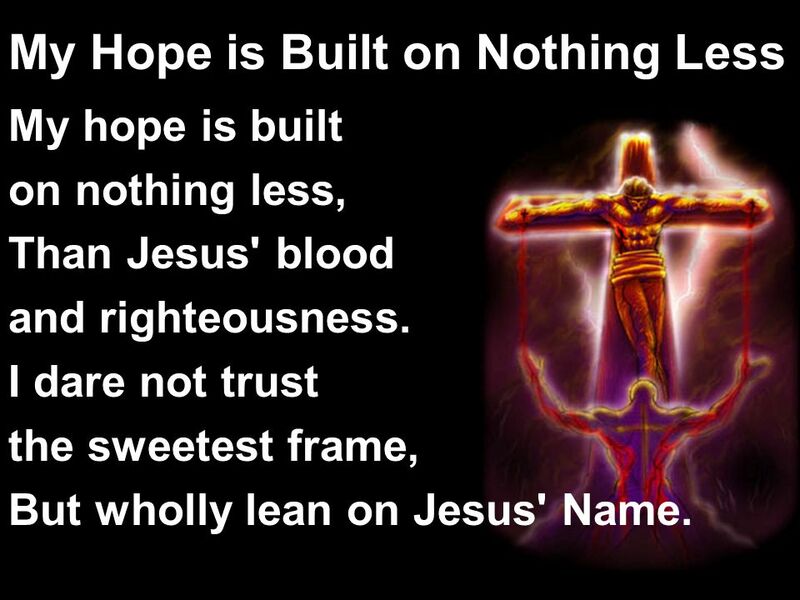 My hope is built on nothing less Than Jesus’ blood and righteousness No merit of my own I claim, But wholly lean on Jesus’ name. CHORUS. Welcome to …. I’ll Fly Away Some bright morning when this life is over I'll fly away I'll fly away To that home on God’s celestial shore To that home. Rejoice in the L ORD, O you righteous, and give thanks to his holy name! Psalm 97:12 Call to Worship. Endurance for the Spiritual Relay YAMS 2010 Empowerment Retreat Inspirational Luncheon Presentation Mrs. Dawn L. Walker General YAMS Coordinator. Matt 7: "Therefore whoever hears these sayings of Mine and does them I will liken him to a wise man who built his house on the rock: 25 and. Click to edit Master title style. 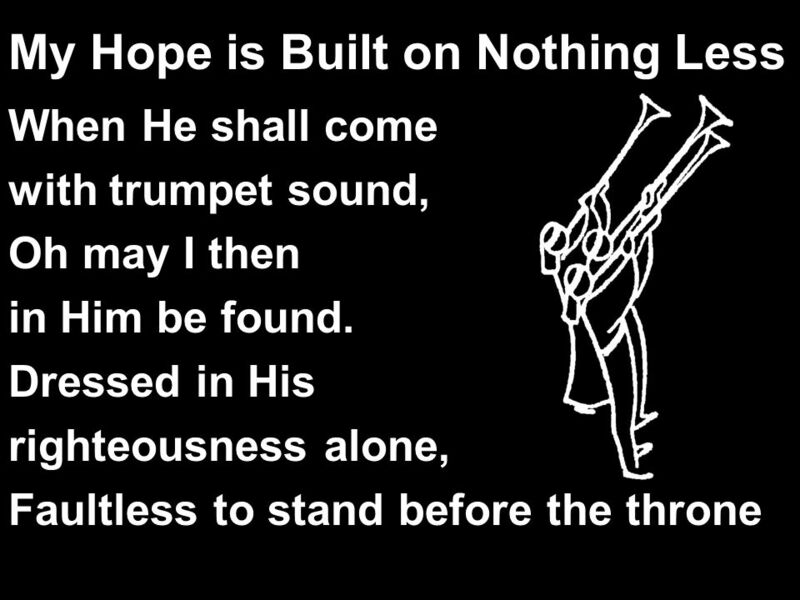 The Solid Rock My Hope is built on nothing less than Jesus blood and righteousness I dare not trust the sweetest frame.